Established in 1982, A&J Sectional Buildings Ltd is a family run business, with customer service at its core. From its humble beginnings A&J has built a strong reputation to become the trusted supplier that it is today. 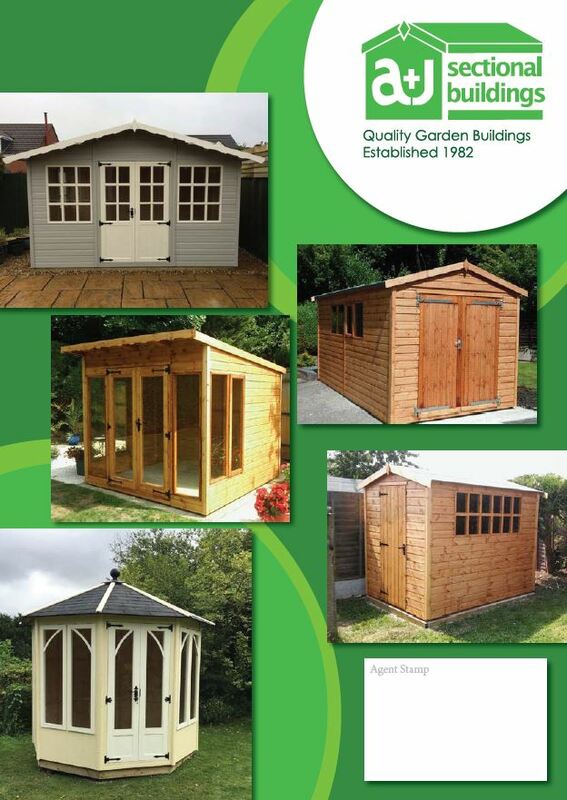 A&J Sectional Buildings Ltd manufacture, deliver & construct a wide range of quality garden buildings, most of which can be adapted to suit your personal requirements. All of our buildings are constructed with the following specifications unless otherwise stated. Tongue & groove shiplap cladding (Ex 15mm) 12mm finished on most walls. Heavy Duty Shiplap cladding on all Barnwells (Ex 19mm) 15mm finish. Tongue & groove Loglap cladding (Ex 19mm) 15mm finished on Euros & upgrade option. Tongue & groove matching cladding (Ex 15mm) 12mm finished on the floors & roof. A legally required ventilation gap at the back of buildings at roof level. Superior lock & key on doors (except Log stores, Deningtons & Playhouses). 3mm Toughened glass except acrylic on playhouses. Corner covers on buildings (except Log Stores, Space Savers, Streamlines, Deningtons & Playhouses). Heavy Duty Polyester based roofing felt used as standard.